As fundraising chair for the Luther C. McClellan Alumni Association Chapter, I make sure we stay afloat! I'm on a board of amazing alumni who truly love the University of Memphis, and want to uplift and empower anyone in association with the University! You can follow us on Facebook for updates on what is going on with fellow Alumni! The Memphis Downtown Commission has 35 design teams working on both short and long term solutions for seven vacant or underused properties in the South Main area. 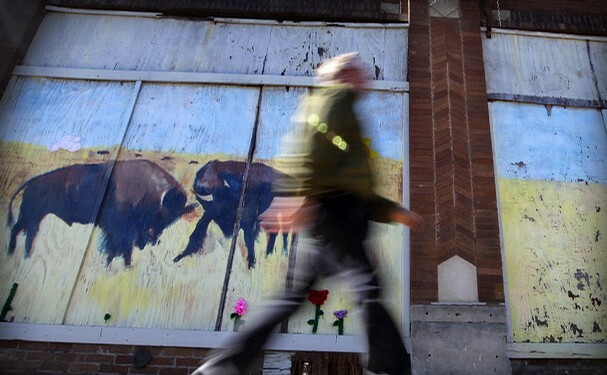 Included in the list of locations is this walled off lot decorated by a mural of buffalo. I am on the team to redo Navy Park with the downtown neighborhood association! Hockett was a top five finalist for Ms. University of Memphis in the fall of 2010. The position is chosen based off of an array of qualifications including ample community service, scholarship, campus involvement and city involvement. For more pictures Click Here. 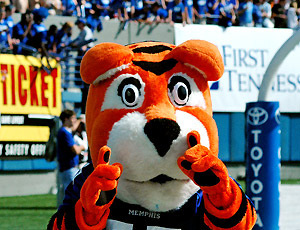 Hockett was also chosen for the University of Memphis top five Homecoming Court in the Spring of 2010. The group is selected by the student body to represent them at the game and other events throughout the Homecoming week. As one of the first Future Alumni of Memphis Advisory board member, Jasmine Hockett has a strong love for the city of Memphis. One goal of this organization is not only to increase involvement in and around the city, but also in the community. In the organizations first year at the University of Memphis, over 1,500 students became Future Alumni of Memphis members. It's New York Fashion Week, but at the University of Memphis. Friday, the school's Black Student Association held its 42nd annual fashion show, dubbed, "fashion's changing forever." "The Black Student Association has been around for more than 60 years and to keep it going, the fashion show is its main fundraiser," said Jasmine Hockett, BSA fashion show chair member and senior broadcast major. "We wanted to bring something new and refreshing for this year's fashion show, so we worked really hard and brought in Reflections Modeling Agency to train the models and we had a variety of clothing lines from a range of designers from as far as Atlanta, Georgia," said fashion show co-chairman , Clarence Sampson. "I'm sure people was not expecting this because in the past it was not this extravagant." Trey Long, committee member of the fashion show said that over 200 tickets were sold and almost all 20 of the $150 V.I.P tables, making this year's show the highest turnout, which also means it raised the most money. Last year proceeds came to about $200, but this time it more than doubled that making the total close to $4000. Sampson said the fashion show was more than just about raising money. One of their goals from the show was to promote diversity and student involvement in campus activities, but he stressed that they could not have done that without the help of their sponsors, ReadyU and Reflections Modeling Agency. ReadyU donated care packages for students that contained laundry detergent and razors, while Reflections Modeling Agency introduced some of the models to professional opportunities in print and commercial modeling. "I think this years fashion show was a lot better than the other one, not downplay the last years fashion show, but I think this one [had] more class. It had more boutiques involved and we had more models and I think it was a better overall show," said Long. The show displayed a diversity of clothes ranging from hippie chic to black tie affair. Some of the lines were Style Junkie, City Gear, and Holiday's, but the featured line was Sache, which is sold in downtown Memphis. It also brought in entertainment for its viewers with local talent like Pat 24/7 and Pro. Sampson said the next big thing for BSA is promoting and getting students invovled with Black History Month in Feburary. © 2016 Jasmine Hockett. All Rights Reserved.